Man do I love those "suave/cheesy" faces in the expression studies. Am I the only one that thinks these look way better in 2D... You'd think they'd be simple enough right? I don't mind CGI but the CG in Cyberverse looks a little too cheap to do right by the designs. I never realized how much BumbleBees Robot mode resembles Sunstreakers until this. RobRobRobRobRob wrote: Most intriguing, however, is the addition of Alpha Trion, who fans will recall not putting in an appearance in Season One. Uh, Alpha Trion absolutely was in Season One. Thats my bad, I totally forgot he was in there when I was assigning news stories. Thanks Robrobrob for getting all this, much appreciated. And to answer another comment, I too beleive they look better in 2D and I WISH we had toys of Prime Era engineering to go with this show. I LIVE FOR THE SUAVE/CHEESY. I like the designs, I like the execution of the colors. I just can't stand the faces in the past few series.. Too many "disney" expressions. Too many " warm smiles" . They look like annoying youtubers that are trying too hard to emote . I started noticing this with Disney in the 90s and with CGI characters like Shrek and Yoda .Also hate teeth on transformers. Beastwars had a good compromise with expressions - At times they'd get exaggerated. When will they realize that you can get a lot more from limited expression. It's actually more realistic. Someone comes in doing all these facial expressions while talking to you I think " how many people did this guy Murder?" Animators don't seem to get that. They borrowed this from Anime when it started getting popular in the 90s. It's really annoying the hell out of me these days. The flamboyance and eccentric nature takes me away from the story. I also think that the reasoning behind convoying a facial emotion under estimates the viewer. They think that it will confuse children these days if you don't have them winking while at the same time grinning. Oh and why eyebrows? (Old Man voice ) Back in my day you didn't need teeth or eyebrows or winking. Look at the subtle nature of the animation. It's akin to when George Lucas decided to insert a " NO" before Darth Vader was about to throw the emperor down the pit. Like, we NEEDED to hear that to understand what he was thinking. I doubt they'll fix it because it's already part of the aesthetic. But It makes me appreciate the subtle expressions in G1. Thinking of Starscream's " Wanna bet?" look. I really want a Macaddam toy, and good Wheeljack toy of that design. They are so good and cool! metalogan wrote: I like the designs, I like the execution of the colors. I just can't stand the faces in the past few series.. Too many "disney" expressions. Too many " warm smiles" . They look like annoying youtubers that are trying too hard to emote . I started noticing this with Disney in the 90s and with CGI characters like Shrek and Yoda .Also hate teeth on transformers. Beastwars had a good compromise with expressions - At times they'd get exaggerated. Please limited expressions are called such for a reason. I'll take actual character expression over dull surprise any day. If most people are using these kinds of techniques there is probably a reason for so, sounds like you just hate Disney and children exaggerations in a childrens cartoon. 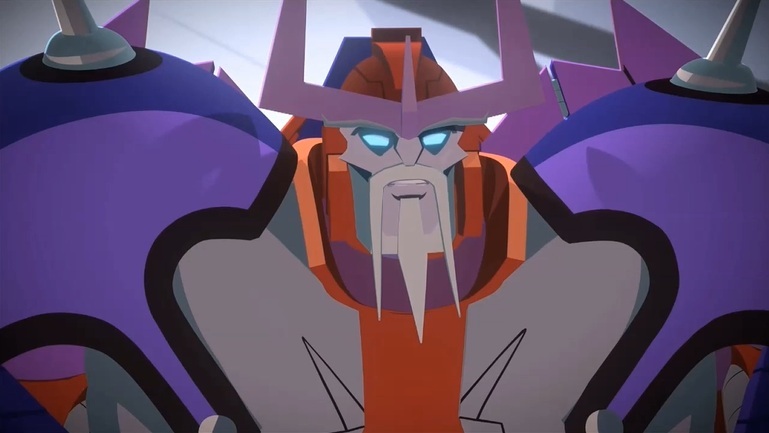 We have excellent news for all those eagerly waiting on news of a second season of Transformers Cyberverse, as Hasbro has reached out to us and given us a look at the first trailer for the second season! Here is the press release accompanying the trailer and gives us hints of what we can expect to see in the second season! Hasbro wrote: Season 2, titled CYBERVERSE: POWER OF THE SPARK, is set to release fall 2019 with Cartoon Network USA. 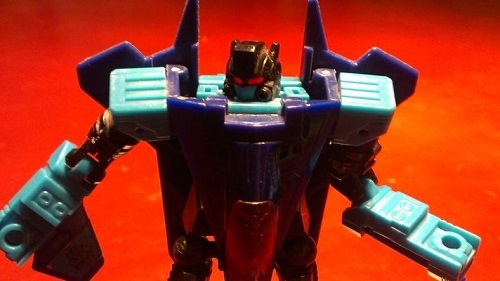 In CYBERVERSE: POWER OF THE SPARK, the AUTOBOTS are closer than ever to finding the ALLSPARK, but completing their quest will be tougher than they could have imagined. They’ll face new enemies and be challenged by Earth’s roughest terrain, and along the way they’ll discover that, when near the ALLSPARK, they are imbued with incredible new powers. Using one of these mysterious new abilities, the AUTOBOTS will convert Earth vehicles into Spark Armor: the battle-ready gear they need to defeat the DECEPTICONS and continue their mission. They’ll convert boats into mech suits to battle Sharkticons in the water. They’ll change planes into jetpacks to take on the Seeker Squadron in the sky. Any Earth vehicle is a chance to instantly level the playing field, turn the tables, and win the day. With the power of the spark in their circuits, the AUTOBOTS will complete their mission on Earth and begin the perilous journey back home, where that same power holds the key to returning life to their planet. Click here to see what we thought of the first season of Cyberverse! Thanks to fellow Seibertron users, Survivefan23 and BlackEyedPrime for also sending this news to us. What do you think about this trailer? Excited to see what happens next? Let us know in the Energon Pub and stay tuned to Seibertron for all the latest news and reviews! First 37 seconds of trailer: Hmm, I didn't think that much of the first season of Cyberverse, and this just looks like more of the same. 46 seconds: Could it be? 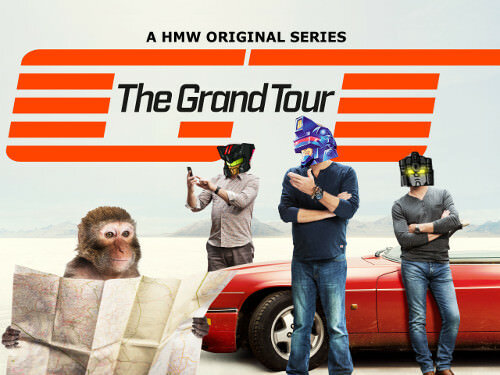 "I am Cheetor, Guardian of the AllSpark"
Last edited by Munkky on Thu Feb 14, 2019 3:27 pm, edited 1 time in total. Well ... there's a character we weren't expecting! And by that I mean Lugnut. Excited for the cartoon and the wider range of cameos. The armor gimmick sounds cheap, but maybe for kids it will work. WHY IN THE EVER LOVING HECK DID THEY MAKE LUGNUT A GIRL? I mean, if it had been a new, random Decepticon Femme named Lugnut, fine, but that is clearly Animated Lugnut. Lumbering, brainless, barbarian, deep voiced, Punch-Of-Kill-Everything Animated Lugnut. With a girl’s voice. Flashwave wrote: WHY IN THE EVER LOVING HECK DID THEY MAKE LUGNUT A GIRL? Does beg the question of why it’s not Strika, the long-standing resident big-girl-on-the-block Transformer. For that matter, if added cameos are on the docket , I wonder if Ovveride or Thunderblast will ever make an appearance. Shuttershock wrote: Does beg the question of why it’s not Strika, the long-standing resident big-girl-on-the-block Transformer. Strika is land based? Memory isn't always reliable but have there been any land based 'Con in Cyberverse yet? This show has already made Nova Storm as (at times) Acid Storm female. Female Lugnut got me excited, regardless. Shadow Striker (car), Soundwave (SUV), Shockwave (spider tank), Megatron (tank). Last edited by Sabrblade on Thu Feb 14, 2019 4:36 pm, edited 1 time in total. I will have to watch season 1 now, even if Grimlocks voice seems daunting/from the school of zero efforts in the trailer. strika may be land based, but changing her to an aerial vehicle is much less crazy than gender-bent lugnut. ah yes, forgot about her (which is shameful on my part because I liked her). But even adding the blokes in, 'Cons seem to be more air based. Maybe that's the explanation for Lugnut. Unless I'm wrong, I think Shadow Striker was a Seeker (or maybe just a Seeker Commander) before 'Bee done blew her up and Shockwave patched her back together. Which would make her "land-mode" a special case. Even so, ol' Megs turns into a tank, which is a decidedly land mode. Last edited by Nexus Knight on Thu Feb 14, 2019 4:53 pm, edited 1 time in total. 4,824 pages were recently viewed by 1,054 unique visitors. This page was viewed 1 times on Sunday, April 21st 2019 3:56pm CDT. © 2019 Seibertron, Inc. DBA Seibertron.com. All Rights Reserved. Established June 2000. Seibertron.com is owned by Ryan Yzquierdo.